The irate deli customer caught on camera throwing a violent tantrum and attacking a worker over a minutes-long wait for a bacon, egg and cheese sandwich more than a month ago has been arrested, police said. Edilberto Burgos, 24, was charged Thursday with assault and menacing in connection with the Nov. 25 attack in the Hi Mango Flushing Avenue deli in Bushwick. The bizarre fray was caught on camera. 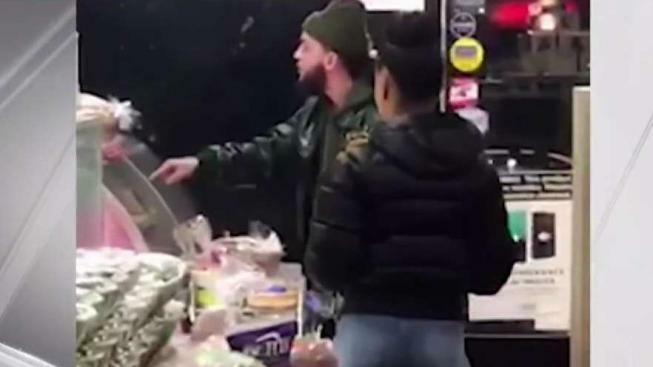 Cellphone video provided by deli customers showed a customer, later identified by police as Burgos, demand his order of a bacon, egg and cheese on a toasted cinnamon raisin bagel "right NOW" at around 4:30 a.m. When the 28-year-old worker, Sanjay Patel, told him that he had several orders ahead of him and that it would take around 5 to 10 minutes, the customer became angry. "Make my cinnamon raisin toasted bagel with bacon, egg and cheese RIGHT NOW," the customer shouted, banging on the deli display case. "Right f---king now! Make my s--t right now! Patel was taken to a hospital for treatment for various injuries, and told News 4 shortly after the attack that what the man said gave him nightmares. "When I sleep, nighttime, I still dream it, because he told me, too, 'I'm going to shoot you,'" Patel said. "He told me he gonna shoot me." 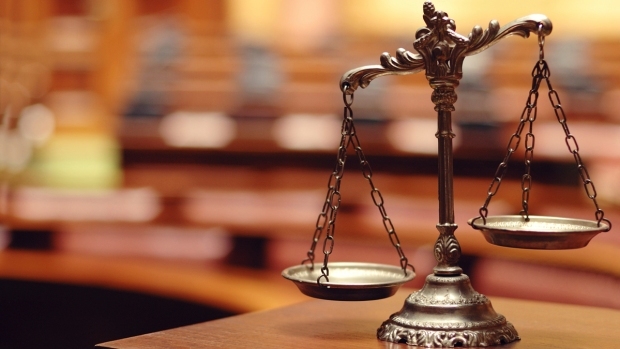 It wasn't immediately clear if Burgos had an attorney.